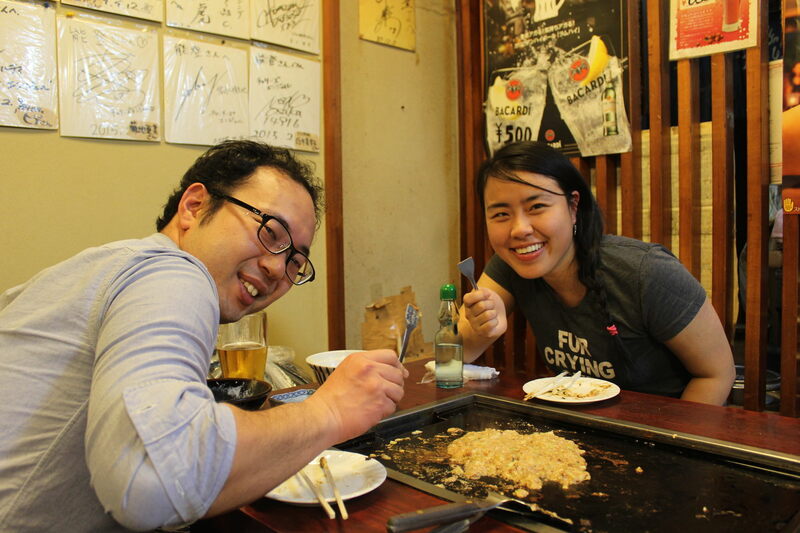 The list of articles and Q&A for travel to Japan about "Okonomiyaki" by Hub Japan. If you are looking for the best sightseeing, things to do, or food informations about Japan, Hub Japan is your answer! We had a authentic Okonomiyaki and Monjayaki dinner with Arianna who first visited Japan from Canada! We had a dinner with Agnes, who was on a business trip to Tokyo from Jakarta. As I communicated with her in advance through e-mail, I could feel how nice she is. She kindly accepted us to write an article about the night. This is a report of the day local Japanese took travelers from Spain to a dinner in Tsukishima, an Okonomiyaki/Monjayaki restaurant, sashimi Izakaya, and a quiet bar. When talking about Japan, the topic of Japanese cuisines becomes a prominent topic that you cannot be ignored. Japan is very unique in its food. From the traditional to the modern, from the quick to the drawn-out, make sure to try these food when you are in Japan.